"A palimpsest is a manuscript page, whether from scroll or book that has been written on, scraped off, and used again. 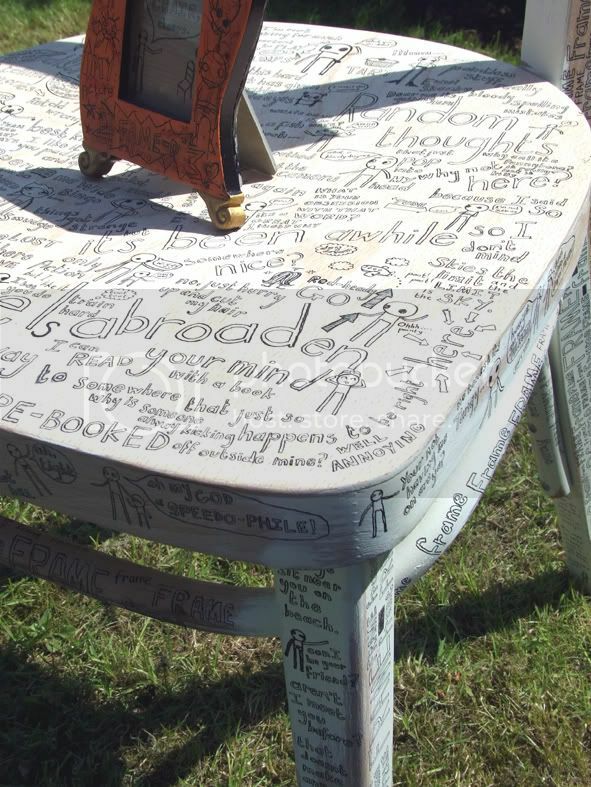 The word palimpsest comes through Latin from two Greek roots (palin + psEn) meaning "scraped again." Romans wrote on wax-coated tablets that could be reused, and a passing use of the rather bookish term "palimpsest" by Cicero seems to refer to this practice." Right, that explains palimpsest lol ^_^ basically we re-worked, layered, painted, inked out etc on recycled/found objects it was quite open anything could be used, I really enjoyed this project I think before my work had been reserved I didn't play around that much and I tended to stick with one idea (I still do that but not as much... maybe) but being quite free to use any material and not care too much about the final outcome was something that helped me, we did this project just before Christmas and it let me shake off the first year funk that was still following me around, which was class. 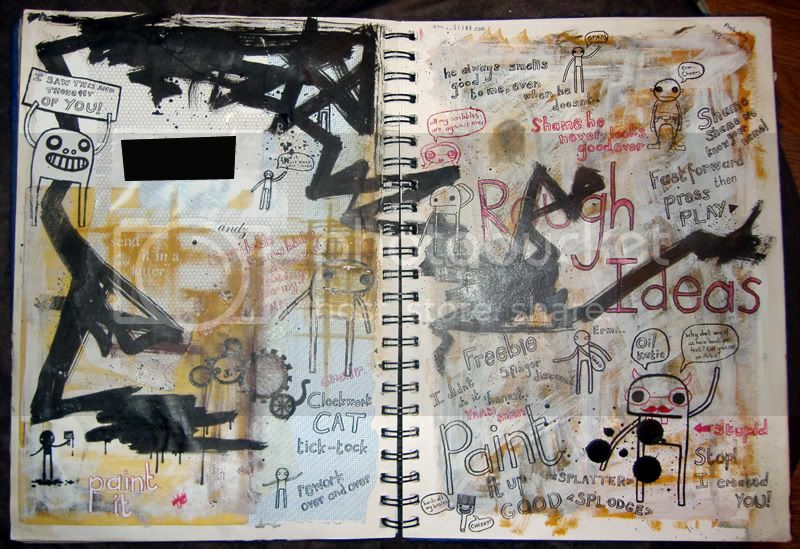 I started with my sketchbook using scraps of old paper, paint, ink, letroset and just mixed it up with alot of random text and doodles, this was were I first started properly doodling I have developed them alittle more since. I got to a point with the sketchbook were I was happy enough to move onto something else, at first I was going to do a desk but well the chair was enough trouble, lugging it around and trying to write on the legs.. urgh.. alot of work. The chair is the product of alot of latenights so some of the sentences dont make much sense but its a fun object and I'll being doing some scribbly friends for it soon. My favourite sentence on the chair is "One time, I was so hungry I bought a cooking apple" hehe cheers for that one Andy lah.